A resident of Los Gatos for 55 years, Margie passed away peacefully in her home surrounded by family. Margie was born and raised in Abilene, Texas. Her adventurous spirit took her to Denver, Colorado to work as a flight attendant for Continental Airlines in 1951. In 1955 she met and married William Hammack in Denver. After being stationed with the Navy in various locations around the country, Margie and Bill moved and settled in the Bay Area in 1958 where they raised their family. Margie was a successful realtor for 10 years and property owner and manager for 40+ years. 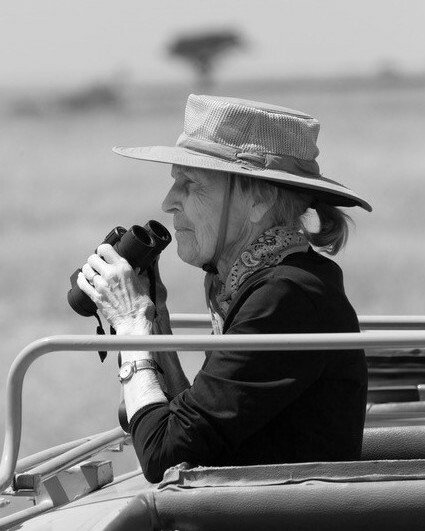 Born with the boundless gift of curiosity, Margie was an avid reader and had a great desire to see the world. Margie and Bill shared the love of discovering new landscapes, exploring different cultures, and to that end, they traveled extensively. When Bill passed away in 1999, Margie carried on the adventurous tradition and took her family on annual trips around the world. Margie is survived by her four children: Steve Hammack and wife Sandi, Cathy Webster and husband Todd, Tracy Budge and husband Kent, Amy Williams and husband Dave, and her two granddaughters Emily and Darby Williams. Margie was truly a woman of grace and all who knew her will miss her kind and generous spirit.